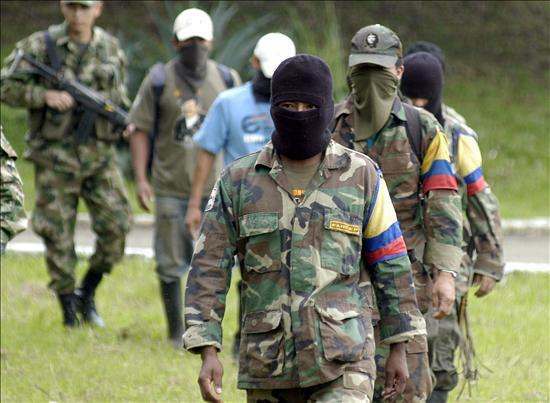 On October 8, 2012, the day after the Venezuelan presidential elections will take place, Colombian officials and FARC commanders will meet in Oslo, Norway in an effort to try, once again, to work out a peace accord between the government and the leaders of the leftist guerrilla force. On the cusp of this event, the majority of Colombians remain devotedly optimistic about a political miracle resulting from successful negotiations, despite years of failed efforts that brought disappointment. FARC peace negotiations began in 1982, when then Colombian-president Belisario Betancur attempted to establish a framework for peace accords as a part of his political agenda. Since then, every incumbent of the Casa de Nariño has attempted to achieve comparable goals. Unfortunately, previous peace talks have failed as a result of broken pledges, self-absorption, and genuine fears on the part of FARC. As has happened before in Colombia’s history, security forces and the political right will use a truce as an effort to mobilize the population against reintegrating the guerrillas into the general population. During Andres Pastrana’s presidency, during which the most recent presidential attempts at peace talks occurred in 1999, negotiations failed even after the president met his pledge to provide the rebels with a demilitarized area. 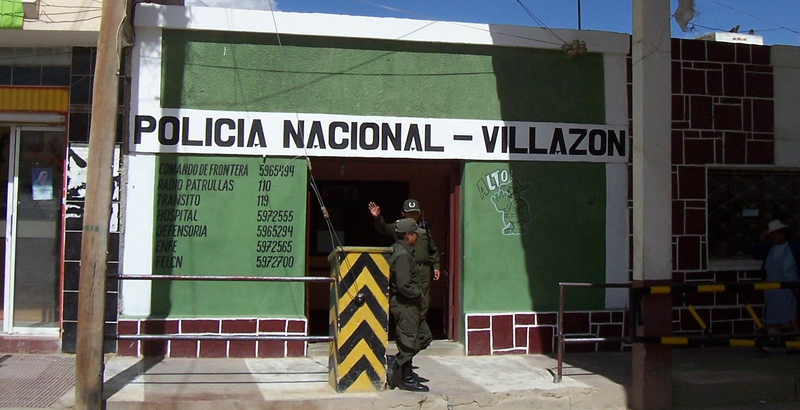 Ultimately, this unsuccessful initiative sparked Plan Colombia—a bilateral agreement between Colombia and the U.S. to attempt to combat drug operations by FARC . The current talks are the result of President Juan Manuel Santos’s surprising encouragement of a peace deal as well as important victories on the part of the Colombian military. It is necessary to recognize that the scheduled meetings are laudable achievements, with much of the credit attributable—unlikely enough—to President Santos’s unexpected commitment to peace. Clearly, Santos has set peace as a top policy priority, asserting that this effort, “is an opportunity that we cannot waste to reach what is not only good for Colombia, but for our entire region.”  In the coming weeks, Colombia will finally have the opportunity to end violence, curb drug trafficking, and most importantly, establish a humane civil society. Inevitably, there will be a bona fide reinsertion of issues of regarding FARC’s demilitarized combatants becoming functioning members of Colombia’s society. It is important that efforts by both sides continue to progress as the combatants amicably navigate such a decisive move in the country’s history. Skeptics question the viability of the current peace talks, given that Colombia has never been realistically close to fulfilling President Betancur’s 1982 plan. Colombians and international observers may not be keen on recognizing the doughty leadership of President Santos and the gritty determination of the guerrilla leader Timochenco (Rodrigo Londoño) as the peace talks are allowed to move ahead. But this does not mean that negotiations will be easily achieved, as the truce will have to navigate difficult rifts between the two parties. Yet, ironically enough, the most likely danger for the talks’ advancement is posed by ex-president Álvaro Uribe, who appears intent on undermining, if not sabotaging, any prospects for peace between the two sides. 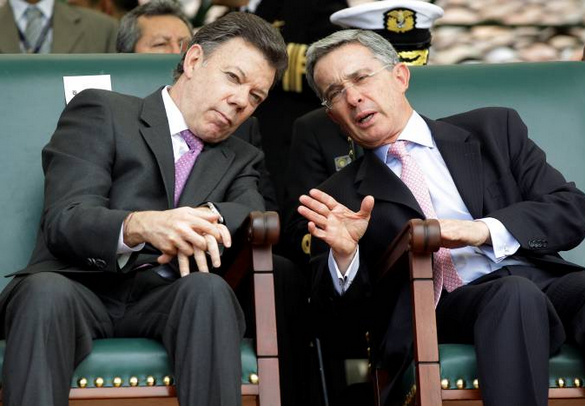 Santos has been close to Uribe in the past, even becoming one of his closest supporters in the latter’s administration when the two backed a hard line in the war against FARC. Then, the two worked to cultivate a strong working relationship with the Pentagon and the DEA, but such a position no longer seemed viable for the Santos administration. Once he succeeded Uribe, President Santos’s mirable dictu became an increasingly strong force for peace and reconciliation with the guerrillas. As a result, peace advocates are still worried over Uribe’s lethal stand against these talks and have legitimate concerns as to how far he is prepared to go to prevent them. These include some senior area strategists in the Obama administration, who have concluded that when it comes to tentative peace talks, Uribe has transcended the boundaries of extremism in his critique. Uribe, whose odium against the guerrillas is all but pathological, seems ready to go to any length to block Santos’s openness to peace talks. As a result, observers anticipate that the ex-president is fully capable of mobilizing anti-soft line positions, remnants of the AUC, and other right-wing paramilitary groups. As such, there are those in the Pentagon who fear that too many concessions are being made to the reeling guerrillas. This has perpetuated the realization that Colombia is gradually swinging towards a pro-Latin American strategy rather than a de facto working alliance with anti-drug activists like Uribe and Mexico’s President Felipe Calderón, not to mention the DEA. As a result, this theory adds to the notion that the talks are simply the latest manifestation of regionalism, devoid of the U.S., that has permeated much of South America. This analysis was prepared by COHA Research Associate Sarah Amaya.